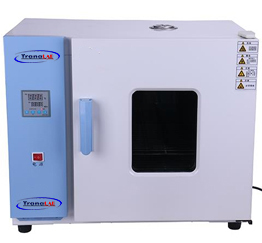 The drying oven is applicable for drying, baking, melting and sterilization industrial and mining enterprises, laboratories and scientific research institutes. Streamlined shape with aesthetic design concept, the surface is electrostatically sprayed, and the door is equipped with a large viewing angle tempered glass observation window. The working room is made of mirror-quality stainless steel argon arc welding. The shell is made of high quality cold-rolled steel. LCD large screen display shows the set parameters and measured parameters. High-performance thermostat function to avoid evaporation of samples. Using a new type of synthetic silicone sealing strip, it can run for a long time at high temperature, long service life and easy replacement. 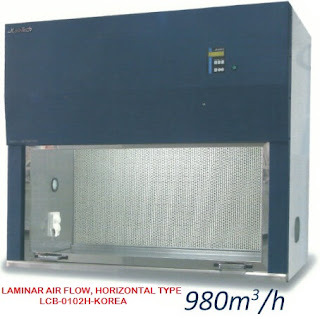 The hot air circulation system consists of a fan that can run continuously at high temperature and a well-designed air duct to improve the temperature in the working room. The shelf inside the box can be adjusted freely. Microcomputer P.I.D temperature controller with over-temperature deviation protection and digital display, with timing function and high temperature control accuracy. Upgraded sound and light alarm environment scanning microcomputer chip, with more powerful data processing functions. With over temperature alarm, timed shutdown, call recovery, parameter encryption, temperature correction and other functions. With power-off recovery function, after the external power supply suddenly powers off and calls again, the device can automatically resume operation according to the original setting program. Consider the ultimate safety protection design to achieve triple safety protection for people, samples and equipment. Safety function: sensor fault alarm, over temperature alarm, independent over-rise preventer, independent over-temperature protector, over-current trip protection, etc.